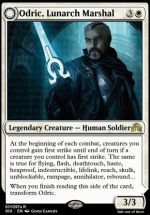 Welcome to the definitive Journey into Nyx set review! 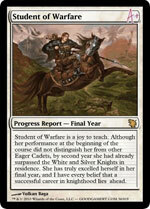 If you missed our Theros set review and our Born of the Gods set review, that’s because I didn’t write them. By now, many of you have realised that you are bad at shadowmoor limited. Your 3-2 prerelease record and first round draft losses have left you feeling empty, while the Swans of Bryn Argoll you sold for a dollar has left your wallet feeling the same way. But don’t lose hope! I too attended a shadowmoor prerelease, and my 4-1 record and second round draft loss have left me fully equipped to teach you the intricacies of shadowmoor draft and sealed. FS shares with us the lyrics to the classic song, first performed by Wall Creatures May Attack As Though They Did Not Have Defender. This is the story of the last Jelly Moose. Once there were many Jelly Meese. Jelly Mooses. Game-Trail Changelings. Once there were many Game-Trail Changelings. The covered the plains of Lorwyn, crowded the forests, swam through the swamps. But one day, something changed. Somethings changed.